January 22, 2012 - Airmen undergoing their fitness tests at high-altitude bases can breathe easier during fitness testing thanks to the efforts of Air Force Academy leaders and the Human Performance Laboratory. Changes to the Air Force Fitness testing program in 2010 didn't include an altitude adjustment, as the previous testing system did, but that change didn't sit well with the Academy's leaders, so they set their sights on reinstating the altitude adjustment. "Many people who come from lower elevations are seeing up to a minute increase in their run times," said Chief Master Sgt. Todd Salzman, Academy command chief. "I noticed a marked difference in my own run times when I first arrived here, so I knew that we owed it to our folks to do what we could to bring back the altitude allowance." The Academy's Human Performance Laboratory initiated a study to see if there was any difference in cardiorespiratory performance between 7,200 feet, the altitude here, and sea level. The laboratory enlisted a total of 55 non-smoking, male and female subjects who had lived in Colorado Springs for at least six weeks for their test. Testers each ran 1.5 miles in the lab's Colorado Altitude Tent, which can simulate both sea level and high-altitude oxygen content. "Due to atmospheric pressure, there is a significant difference in oxygen content at sea level (26.5 percent) than there is at 7,200 feet (20.9 percent)," said A.L. Wile, director of the Human Performance Laboratory. "The CAT gives us the capability to simulate 26.5-percent oxygen content at sea level and test our subjects in both environments." Distance was the only known factor for the subjects as the two atmospheric pressure conditions were randomized, Wile said. The overall average difference in run times for all subjects was 30 seconds. Armed with that information, Academy leaders addressed the issue with Defense Department officials, who agreed to reinstate an altitude adjustment for physical fitness tests. The change benefits Academy personnel as well as Airmen at Schriever, Peterson, FE Warren, Kirtland, and Buckley Air Force Bases. "It was important for Air Force leadership to understand that there truly is a difference running at this altitude, and the work the Human Performance Laboratory did to prove that was conclusive," Salzman said. 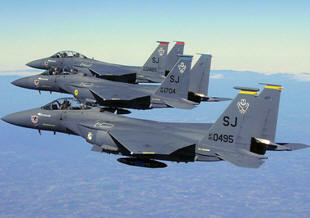 "If we expect our Airmen to perform at high levels, we need to ensure they're equipped with the tools to succeed. We make sure that our Airmen have the appropriate gear to do their mission in cold weather, so it just makes sense that we help them to be successful in a high-altitude environment." Skeptics might argue that once someone becomes acclimatized to the higher altitude, there is no need for an altitude adjustment, but studies show that isn't the case. "Training at altitude and getting acclimatized over four to six months can help," Wile said. "However, studies have shown that aerobic endurance is still impaired with total acclimatization, thus warranting the recent adjustment." The altitude correction is a straight-time bonus starting at 18 seconds and increasing minimally depending on the window in which a person finishes, said Craig Seay from the Health and Wellness Center's fitness testing office. It is also installation-specific. For example, an Airman who completes his 1.5-mile run at the Academy in 12 minutes would receive a 25-second altitude correction to his run time. The altitude adjustment is not retroactive, and will only be applied to those testing after Jan. 1.